Its been a month since I wrote my last post. I have missed out on so many wonderful recipes from my blogger buddies. Cant wait to see all beautiful posts I missed. Today I am back with a recipe which tastes best when it is hot and spicy! If you go to any place in Maharashtra especially Pune or Kolhapur don't miss out eating this tasty dish called 'Misal Pav'. Meaning of word 'Misal' is Mixture. This recipe gets its wonderful flavors by mixing different delicious things. Main part of this mixture is Sabji/Usal made from sprouted Matki/Moth beans. To give a nice spicy kick, we add something called as Tarri/Kat which is actually thin gravy. To top it off we also add mixture/farsan/chivda, curd ,finely chopped onion,coriander. I would also like to thank my dear blogger buddy Swapna(http://swapnasridhar.blogspot.com//) who has shared this 'Honest Scrap' award with me. Thanks alot dearie for this sweet gesture. We need sprouted Matki/Moth beans for Misal. So soak Matki/Moth beans in water for 7-8 hours. Afterwards drain the water and put beans in cotton cloth. Tie the cloth and leave it for another 7-8 hours for sprouting. If you do not have any cotton cloth you can just keep moth beans covered. This will take little extra time for sprouting. Heat oil in deep kadhai. Add mustard seeds. When they splutter add cumin seeds, turmeric powder, onion. When onion becomes translucent add tomato and fry till tomato becomes soft. Then add sprouted matki,potato cubes. Add red chilli powder, garam masala,salt. Add 3-4 cups of water. Cover with lid and let it cook till matki beans are completely cooked and sabji becomes dry. This will take 20-25 minutes to cook. Dry roast cumin seeds, coriander seeds, black pepper, clove, cinnamon and coconut. Heat 1-2 tbsp oil in small kadhai. Also add garlic cloves and onion. Fry till onion becomes golden. Add tomato and fry till it becomes tender. Grind all these ingredients to a smooth paste. Heat remaining oil in deep kadhai. Add paste formed earlier. Fry for 2-3 minutes. Add red chilli powder. Add 2-3 cups of water. Add salt. Let this simmer for 5-10 minutes. This gravy should be little hot and oily. Put 1-2 big spoons of moth/matki sabji in a bowl. Add tarri/gravy on this. Add 2-3 tbsp farsan/chivda. Garnish with finely chopped onion. If you like curd you can add 1 tbsp curd or squeeze lemon. Initially I was not a big fan of mushrooms. But my husband loved them alot. So I started eating with him and now I too enjoy eating and making mushroom dishes. Mushroom matar masala is one dish I prepare quite frequently. Its one of my favorite combination. Heat 2 tsp oil in small kadhai. Add cloves and cinnamon. Add garlic. Fry till it turns golden. Add sliced onion and ginger and fry till onion turns tender. Fry tomatoes till they become soft. Let this cool down and then grind to a smooth paste. In a deep kadhai, heat remaining oil. Add cumin seeds and turmeric. Add puree we prepared. Fry for 2-3 minutes. Then add milk and mix immediately so that milk does not curdle. Add peas and mushrooms. Add red chilli powder, dhania powder, garam masala and salt.Mix nicely. Add 1/2 cup of water. Cover with lid and cook till mushrooms are cooked nicely. This is yet another recipe I got from my Bhabhi. I have made some slight changes for my convenience. It has become my favorite biryani now! It does take time to prepare but you will find effort is surely worth. Basic ingredient in its gravy is spinach. For making koftas we will use kabuli chana (Cheakpeas). So this is surely very nutritious too. In kadhai heat oil. Add cumin seeds. When they splutter add onion. Fry for 3-4 minutes till they turn golden. Add tomato,ginger and fry till they become nice tender. Add spinach, red chilli powder, dhania powder, garam masala and salt. Add a cup of water. Let this simmer for 4-5 minutes till nice gravy consistency is formed. Boil soaked kabuli chana till they are cooked. Spread chana on a cotton cloth for 30-40 minutes till they become dry. Grind kabuli chana with coriander leaves, green chillies, garlic to a coarse dry powder. To this coarse powder add onion, lemon juice, salt. Add water just enough to make it moist. Add besan for binding this whole mixture. Make small flat koftas with this. Shallow fry them on both sides till they become golden. Soak rice in water for 1/2 an hour. Drain water and keep aside rice. In pressure cooker heat oil. Add clove, bay leaf. When nice aroma comes out add rice. Fry for a minute. Add water salt and pressure cook the rice. Heat butter. When it melts add milk and cardamom powder. Bring milk to boil. Keep this aside. Now for making different layers of biryani take a deep kadhai. First take small amount of rice and add a layer of rice on the bottom. On this layer make a layer of some koftas. Add a layer of gravy over this. It should cover all the koftas. Repeat this with a layer of rice, koftas and gravy. Finally on top add again layer of rice. On the top add milk boiled earlier. Cover this kadhai with aluminium foil. Heat pan. Keep this kadhai on pan and heat pan on low heat for 25-30 minutes. Before serving you can mix all layers in kadhai. But this way your koftas will be broken. So if you like you can also server without mixing. I am completely humbled and overjoyed with beautiful awards showered on me by my sweet blogger buddies. 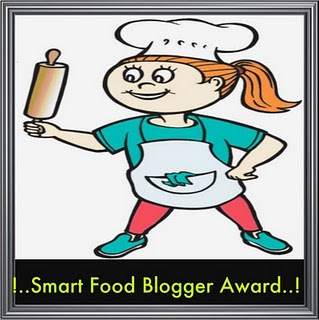 Nithu (http://nithubala-recipes.blogspot.com/) and Devi (http://fresherscookbook.blogspot.com/) have shared with me this cute 'Smart Food Blogger Award'. Thank you so much both of you !! 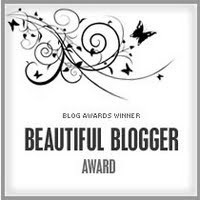 You have fantastic blogs and it is really encouraging to receive award from you! 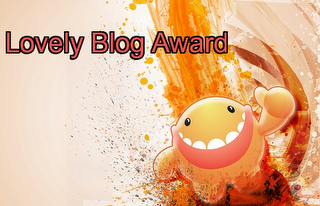 Nithu has also shared with me these 'Blog lovin award' and 'Lovely Blog Award'. Thanks to you again dear for remembering me!! Devi has also shared with me this 'Thank You' Award. So so Sweet of you Dearie! Swapna Sree (http://swapnasridhar.blogspot.com/) and Suma (http://sumarowjee.blogspot.com/) have shared with me Kreative Blogger award. It means so much to me. Many many Thanks to both of you gals. Keep rocking with your beautiful blogs as always! 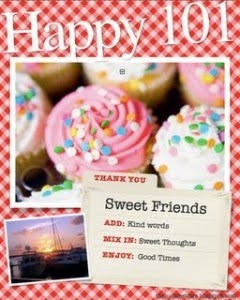 I would like to share 'Thank you' award with Nithu (http://nithubala-recipes.blogspot.com/) for all the encouragement. Also I would like to share 'Blog Lovin Award' and 'Lovely Blog Award' with Devi (http://fresherscookbook.blogspot.com/) . Please accept them! In Maharashtra, there are many dishes made especially on fasting days. To name a few Sabudana/Tapioca Khichdi, Sweet potato fry, Varaiche tandul (Samo rice) are just to name a few. These dishes are so delicious its really hard to fast with such food prepared :) I remember as a child, for me and my bro fasting was just an excuse to relish on all these fantastic dishes. Fasting was left only to my parents :) This potato sabji is something which we always ask our mom to prepare. It is very easy and tastes great just by itself or as side item. Boil potatoes in pressure cooker till they are nicely cooked. Peel potatoes and mash them. When ghee melts add jeera, green chillies. Add potatoes, salt and groundnut powder. Mix well. Fry for 4-5 minutes. Thanks alot Asha for this lovely Award! Thanks a bunch Sumathi, Aparna, Jyoti, Suma, Swapna Sree and Jagruti for this beautiful award! Thank you so much Sumathi, Nithu & Devi for sharing wonderful award!! Thanks a ton Kitchen Queen for this 'Happy Award'! Thanks alot Jyoti! 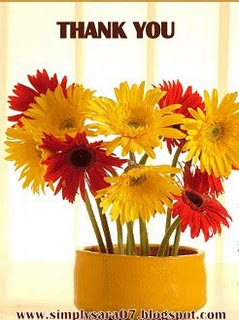 Thank you so much Devi & Nithu Thanks alot Nithu. Thanks a ton Devi.